My name is David Nash and this is my web page. 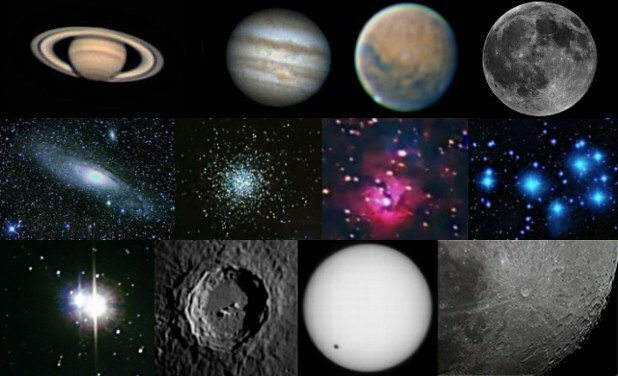 Here you will find the results of my "adventures in astrophotography". 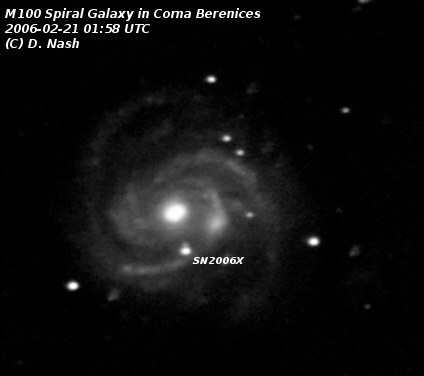 I use webcams and dedicated astronomy CCD cameras, as well as film and digital SLR cameras and a variety of telescopes. I live in Cambridgeshire in England in a small village fairly close to average size towns, but where the sky is dark enough to have a good view and make astronomy worthwhile. I hope you enjoy looking at my pictures! 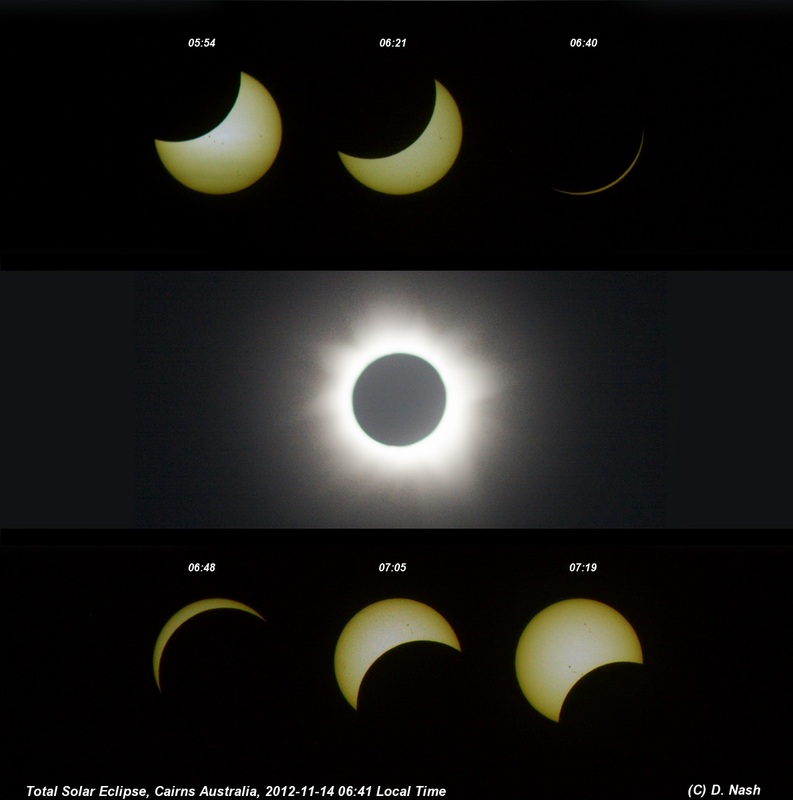 On 14 November (local time) the new moon's shadow passed across the face of the Earth, and a total solar eclipse was visible from parts of Australia and the south Pacific. 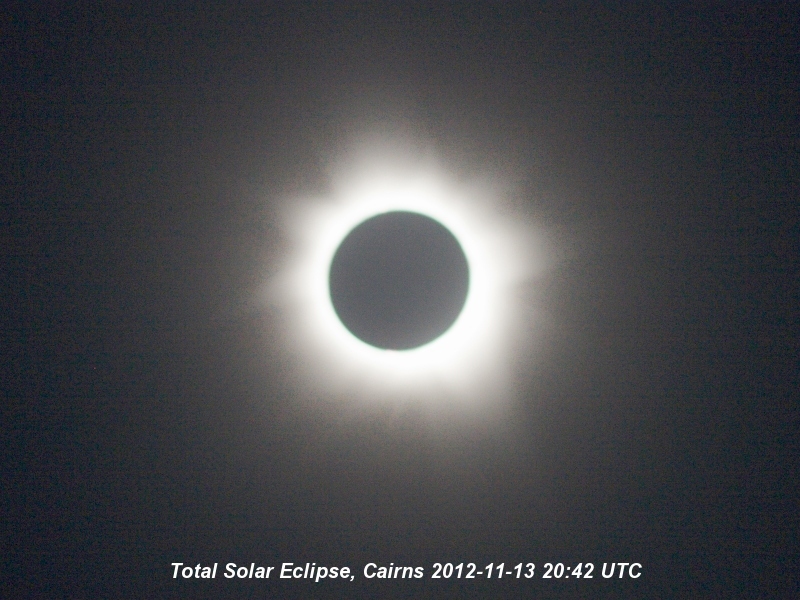 I was in Cairns to see the eclipse and captured some images from a boat on the Great Barrier Reef. 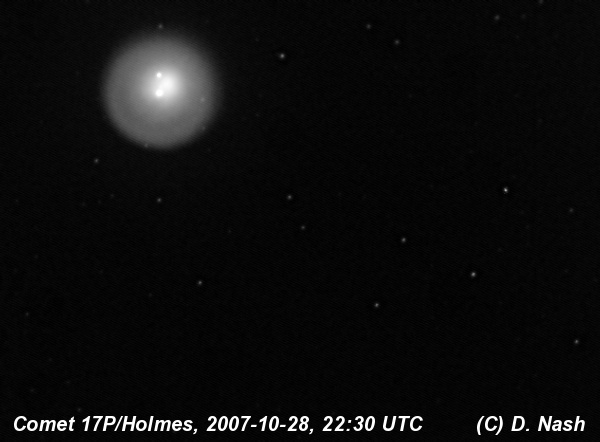 Comet 17P/Holmes in outburst October 2007 This periodic comet flared up to a million times its brightness on 23 October 2007. This image shows it on 28 October, during continuing growth. Total Eclipse of the Moon Animations and images of the eclipse which took place on 3 March 2007. SATURN Occultation See the ringed planet covered by the moon, and re-emerge, with movies. My first pictures of Mars, the Red Planet. September 2005 Planetary alignment - Venus and Jupiter pass close by in the sky. June 2005 Planetary alignment - Saturn, Venus, and Mercury pass very close to each other as seen from Earth. More enhanced colour images of the moon, showing the different soil compositions. Wide-field picture of Comet 2004/Q2 Machholz near the Pleiades and the California nebula on my Miscellaneous page. Comets! 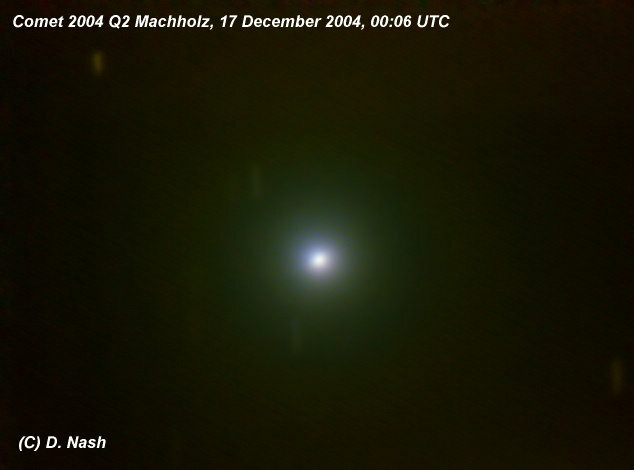 Comet 78P/Gehrels imaged on the 14 November, 2004 as it passed through Aries and Taurus, and Comet 2004/Q2 Machholz imaged on 17 December in Eridanus. 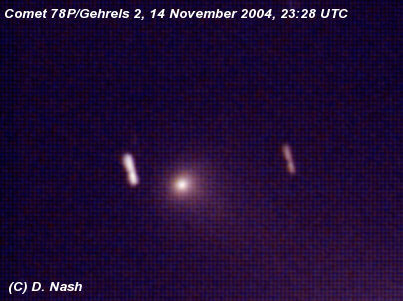 Notice that the stars have trails, showing that the comets are moving relative to them for the duration of the exposures captured.